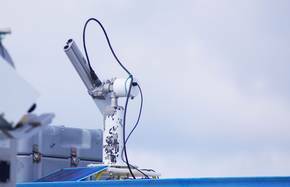 At TROPOS a photometer of the worldwide Aerosol Robotic Network (AERONET) is operating. The photometer is a socalled sun/sky/lunar photometer. 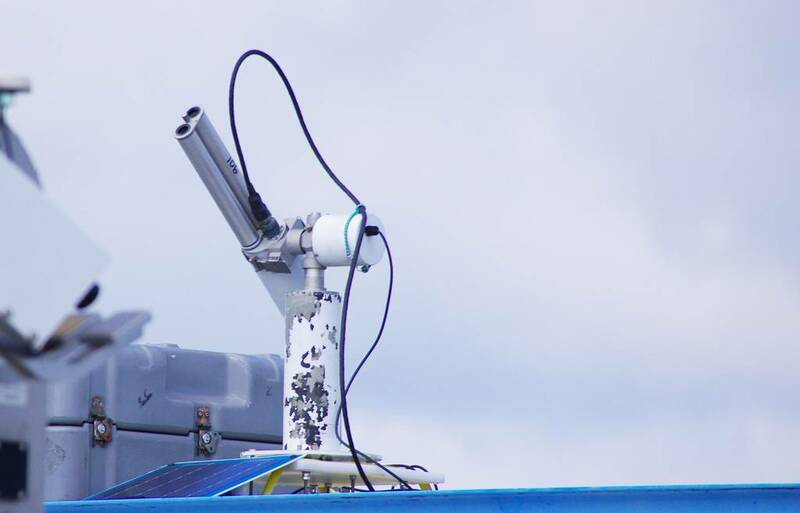 Every 10 to 15 minutes the photometer detects the attenuation of sun and moon light, respectively, because of the scattering and the absorption of aerosol particles. These particles are typically located in the lower 2 km of the atmosphere. The attenuation of light is spectrally resolved between 340 and 1640 nm in 8 wavelength bands a width of 5 to 10 nm and provided in terms of aerosol optical thickness. In addition, the photometer measures the intensity of the skylight (spectrally resolved). With these observations the aerosol type can be discriminated (e.g., if it is dessert dust or urban haze). Further, the particle size distribution, volume and number concentration can be inferred. The observations of the photometer belong to the passive remote sensing. Aerosol-specific column data are determined (without vertical resolution). Therefore, the measurements are complementary to vertically resolved aerosol lidar observations. At TROPOS Sun-photometer measurements within AERONET are performed since 2003. Such a long measurement series is meanwhile a valuable tool for studies on the long-term trend of the aerosol properties above Leipzig. The recording of data and data analysis is automated. The data measured at Leipzig can be viewed at the AERONET webpage.